This month will see the launch of the highly anticipated Trials Fusion. The previous games have all been incredible, with each game showing a huge range of improvements and new features. So a new title, which will also be available for the new-generation consoles, is massively exciting. I was given an amazing opportunity to ask Jason Bates, studio brand manager at RedLynx, a few questions about their upcoming title. Hi! Firstly I'd like to thank you for taking the time to answer my questions! I'm really looking forward to Trials Fusion, as I'm sure many are. What are the new features in Fusion, and how did the team come up with the ideas for them? Jason: Hi, no problem and thanks a lot for your interest in Trials Fusion! While the previous Trials games were published on Xbox 360 and PC only, this time we have a multi-platform release on both next-generation consoles, PC and Xbox 360. The theme of Fusion is futuristic, with a sleek, high technology-filled world and city and, to contrast, gorgeous natural environments. 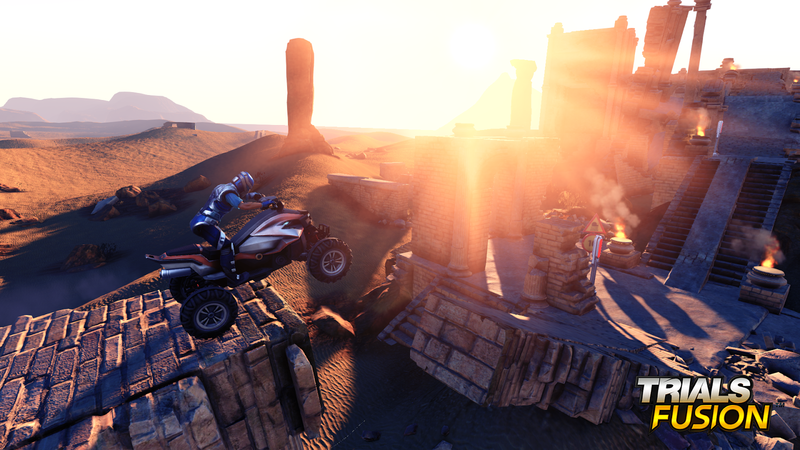 We are also introducing a brand-new, separate FMX mode, where players can perform death-defying tricks on the tracks. The difference between Trials HD and Trials Evolution was vast. 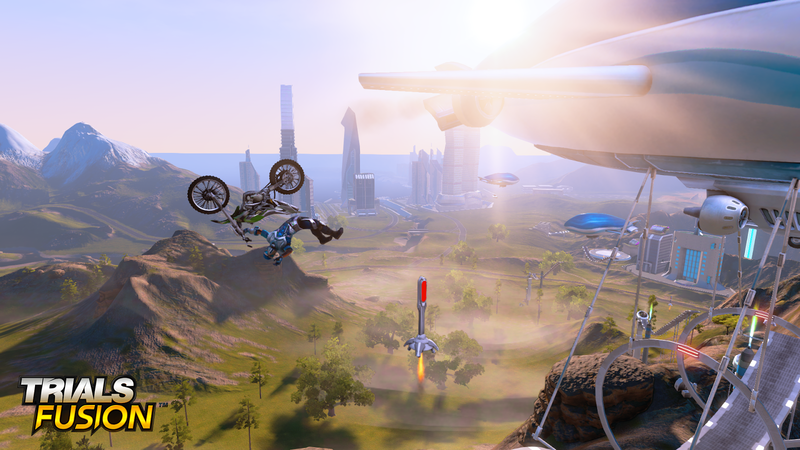 How have you made sure that Trials Fusion still feels fresh for returning players? J: Trials HD happened inside warehouses, Trials Evolution took things outside, and with Trials Fusion we’re taking things to the future!This is the biggest game we have ever made: The world is bigger, the graphics are updated, there’s a cool storyline, achievements and a separate FMX mode. There are a lot of amazing new things and secrets to find! As this is RedLynx's first new-gen title, were there any challenges developing the game for the PS4 and Xbox One? J: It was, of course, challenging to develop simultaneously for four platforms after working pretty much on one platform at a time previously. However, RedLynx has over ten years of experience developing and publishing games on multiple platforms, and that expertise was useful when developing Trials Fusion. With the previous title, the BMX was added alongside the selection of motocross bikes. Are there any new vehicles being added to Fusion? J: It's true we added the BMX to the Trials Evolution line-up with a DLC, but this time the BMX is part of the roster right from launch. And we've also expanded our line-up with an interesting addition: a four-wheeled quad. The quad will provide new challenges even to the experienced Trials players, since it’s a front-wheel drive, unlike a regular Trials bike, and thus works with a very different physics-mechanism, providing different possibilities and learning opportunities. Both Trials HD and Trials Evolution featured a series of awesome mini-games. Will these be making a return? J: Definitely. The Skill Games as we call them are definitely back with a vengeance in Trials Fusion, and they are integrated into the career mode this time instead of being separated into their own category. They are also a little more directly related to your career, in that we are hoping each Skill Game will teach you valuable lessons in the advance handling of your bike: conserving gas, not over relying on brakes, balance and angular momentum and regulating your speed; things like that. 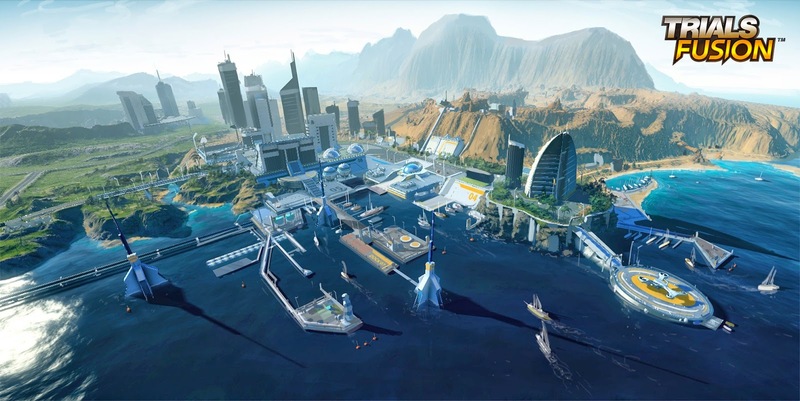 Is the editor in Trials Fusion similar to Evolution, with a huge open world to work in? And is it still possible for players to create entirely different games within it? J: The fans have always loved our track editor, and they will absolutely adore the track editor in Trials Fusion too. The world where you can build the tracks is 4x4 kilometres wide, it has a lot of variation, and there are tons and tons of objects one can use to build the most imaginative, amazing tracks. So yes, just like with Trials Evolution it is the same editor our team used to build all the levels and Skill Games in Trials Fusion, so you can create whatever mad creations you desire. We can't wait to see what users maker! There were many mind-blowing player-made levels for the previous games. Can you recall any that really stood out for you personally? J: There were so many to call out a specific track or a specific creator at this point wouldn't do justice to the hundreds of top notch creators on Evolution, several of whom were so good they ended up with jobs at RedLynx. The best way really to survey their work is to go on Track Central within Trials Evolution and view the feed called RedLynx Picks, where we have called out almost two years' worth of the very best community content to download from there. Finally, what else can we expect from RedLynx in the future? Are you working on any new IPs or focussing solely on the Trials series? J: We do have a lot of new and cool things planned for the future, but let’s leave those things as a surprise for now. Thanks again for this opportunity, and good luck with the launch of the game! Trials Fusion will be available for PC, Playstation 4, Xbox One and Xbox 360 on April 16th.